Pre-order available. Release Date June 7th (US) Co-Release with Thread Recordings . 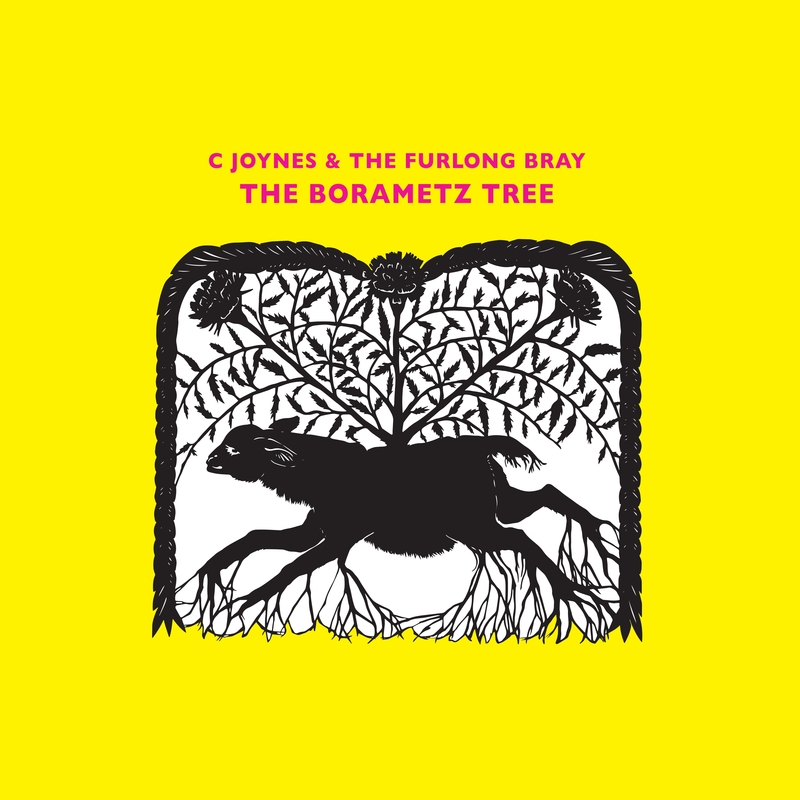 Named after a semi-mythological plant described in 16th century travellers’ tales, ‘The Borametz Tree’ is the first album from C Joynes and the Furlong Bray, a project lead by guitarist C Joynes, which features members of experimental folk ensemble Dead Rat Orchestra, plus electroacoustic composer Cam Deas and multi-instrumentalist Nick Jonah Davis. It was recorded and engineered by Cam Deas, and mastered by Peter Fletcher at Black Bay Studio, Outer Hebrides. C Joynes is a guitarist based in Cambridge. His music incorporates English folk-tunes alongside North and West African music, with protominimalist and improvised techniques lifted from the European classical tradition. He has released seven albums to date, including most recently, ‘Split Electric’ (Thead Recordings, 2016), a split album of solo electric guitar recordings with Nick Jonah Davis, and ‘The Wild Wild Berry’ (Bo’Weavil Recordings, 2012), a collaboration with folk singer Stephanie Hladowski. He has played extensively across Europe and the USA, with performers including Alasdair Roberts, Jack Rose, Martin Carthy, Shirley Collins, and Richard Dawson. Dead Rat Orchestra are Daniel Merrill, Nathaniel Mann and Robin Alderton. Their previous activities include: Tyburnia (2015/17), a tour of performances at historical execution sites across the UK; ‘The Cut’ (2014), a site-specific musical tour undertaken by canal boat along 273 miles of waterway; soundtracks commissioned for Tate Modern’s ‘Gauguin Retrospective’ (2009), and for ‘The Guga Hunters of Ness’ (2010), a BBC Scotland documentary following a traditional hunt in the Outer Hebrides; and tours and collaborations with performers including Baby Dee, Eric Chenaux, Godspeed You! Black Emperor, and Sutari. Cam Deas is a musician, sound artist and recording engineer based in London. His music explores composition, improvisation and the space in-between, and his artistic output ranges from solo acoustic guitar, through live electroacoustic works, to pure synthesis and computer generative music. Nick Jonah Davis is a musician based in Derbyshire. He has released four albums of original solo instrumental guitar works drawing on British and American folk traditions, including most recently, ‘House of Dragons’ and ‘Split Electric’ (both Thread Recordings, 2016).